Should you be Sleeping with a Weighted Blanket? Around half of the American population reported to experience occasional sleep restlessness and insomnia, while 22% reported to have insomnia on a regular basis. Insomnia is a debilitating health complication that can be the result of stress, anxiety, disease or the intake of certain medications. Unfortunately, curing insomnia is not as simple as popping a pill. In fact, sleeping medication can actually cause rebound insomnia by disturbing your natural sleep pattern. For this reason, weighted blankets are rapidly gaining popularity. Weighted blankets have long been around as a therapy tool and are basically designed to apply a certain amount of pressure on the body so that it releases hormones that calm down the body and alleviate insomnia. The key hormones in this process are serotonin and endorphins. Endorphins help relieve anxiety and stress by relaxing the mind, lowering pain, and offering a more positive mind frame. Serotonin has a similar impact and is well-known to help the numerous other problems, including OCD, depression, and obesity. Moreover, serotonin is naturally converted to melatonin by the body during nighttime to help relax it and induce sleep. Weighted blankets weigh anywhere from 4 – 30 pounds, making them heavier than the typical down quilt or comforter. Besides making a safe alternative to medication or other kinds of treatment, weighted blankets can be to complement existing therapies. According to a study published in the Journal of Alternative and Complementary Medicine, grounding the human body when sleeping proved to be an effective way of synchronizing cortisol discharge with its natural, 24-hour circadian rhythms, particularly in women. Grounding also helped lower the production of cortisol in the participants during sleep. This helped improve their sleep and alleviate pain, stress, and insomnia. Another study concluded that 30-pound weighted blankets are an effective and safe way of reducing anxiety in adults. Out of the 32 participants who took part in the study, 63% reported to have lower anxiety levels. When the human body is less anxious, the quality and quantity of sleep consequently improve. People who suffer from restless leg syndrome may also find their sleep quality to be rather poor. Fortunately, sleeping with a weighted blanket can work as a massage therapy to monitor pressure to the “restless” limb, thereby improving your sleep quality. The weight of the weighted blanket that you sleep with should be determined by your own weight. 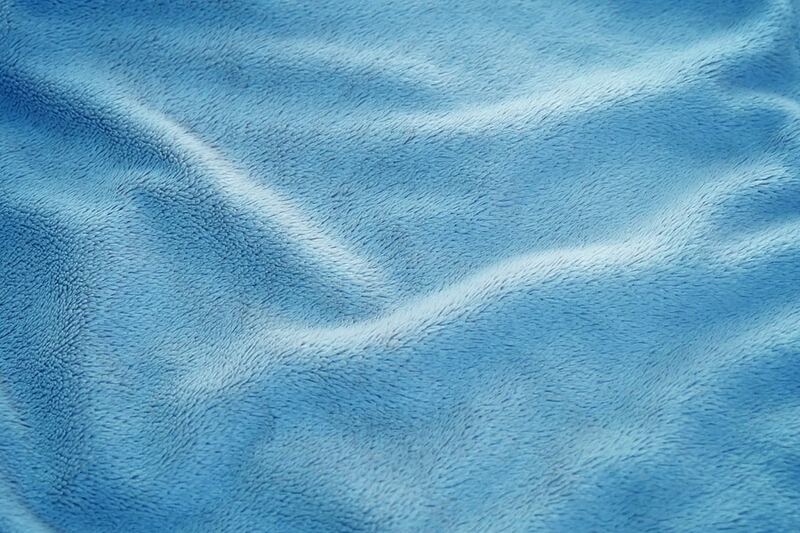 Some manufacturers recommend that adults purchase a blanket that is 5% – 10% of their body weights. For children, they typically recommend blankets that are 10% of their body weights. Your occupational therapist or doctor can also help you decide which blanket will be the most efficient and comfortable for you. Go for a weighted blanket that is made from a natural fiber, like 100%, breathable cotton. Synthetic and polyester fabrics are generally much hotter.